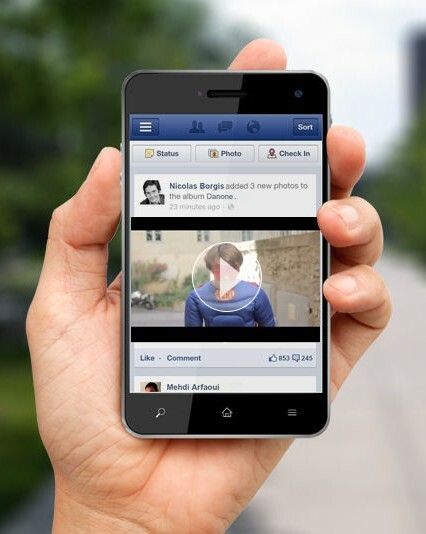 Video and in particular video advertising is a particularly effective way for brands and marketers to engage consumers while promoting their products and services. According to eMarketer, US digital video ad spending will nearly double in 4 years, climbing from $4.14 billion this year to $8.04 billion in 2016. This rise of video advertising content has helped pave the way for open innovation, crowdsourcing and co-creation to emerge as effective solutions in the creative and advertising production processes. To better understand this surge in popularity, Yannig Roth and I, Rosemary Kimani, sought to understand this shift further and wrote a book chapter on it. Bill Gates put a computer on every table, Steve Jobs put a computer in every pocket, and Sergey Brin is striving to put computers everywhere. These visionary founders of Microsoft, Apple and Google have leveraged technology and the internet in ways that make information accessible and available 24/7. This always on connectivity has increased the need for quick, new and fresh content, disrupting traditional marketing models and processes. This new environment fueled by new technologies and social media puts the responsibility on marketers and brands to be nimble enough to have an on-going conversation with consumers, all the time. How can brands increase their supply of creative, fresh content while keeping their production budget in check? By crowdsourcing it! Crowdsourcing can be used to find original and creative ideas for video ads. For example, eYeka has launched several idea contests on behalf of several brands: Actimel yoghurt from Danone was looking for original stories of how Actimel gives people the inner strength to do great big things. Tapping into the eYeka creative community, members of the crowd were asked to submit their ideas in the form of pictures, slide show presentations, storyboards or other print formats that could bring their ideas to life. Winning ideas came from The Philippines, the Czech Republic, and Hong Kong. In another contest for Danone’s South African brand Yogi-Sip, the objective was to gather creative ideas to inspire TV advertising around the theme of the coolest way to keep going. The winning ideas came from Algeria, Ecuador and Portugal! The value from this type of contest comes in brands getting a high number of raw ideas to inspire their advertising. 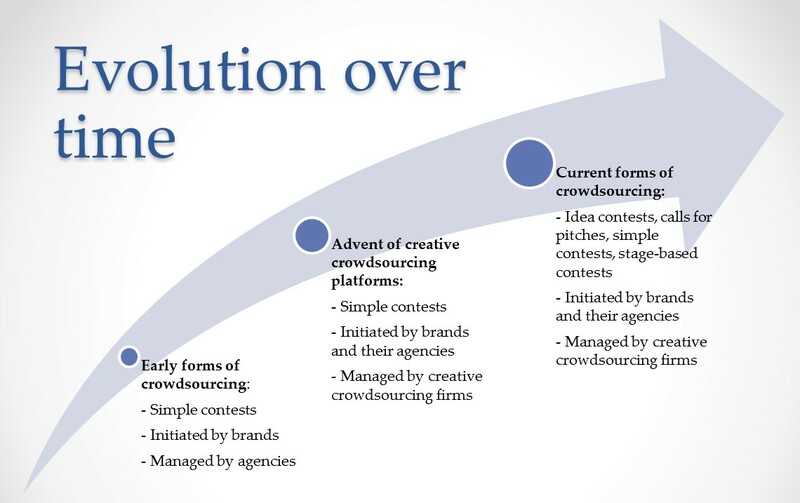 Crowdsourcing in this model is specific to the search for ideas and for the talents to execute those ideas. Clients post their briefs along with a budget and deadline and participants respond with a “pitch” that presents their ideas and the execution of those ideas. eYeka recently completed a call-for-pitches contest with Carrefour SA in Turkey in their search for ideas to celebrate their 20th Anniversary showing how Carrefour fits so well in the lives of Turkish consumers. The creator’s winning entry was featured as a TV commercial and amplified on social media networks. Carrefour SA worked with him for a variety of marketing projects around this event. This is the most popular form of crowdsourcing. The first crowdsourcing contests, like L’Oréal Paris’ contest in spring 2006 or Doritos’ very first Crash The Super Bowl contest in autumn 2006, fall into this « simple contest » category. In this scenario, creators offer a solution to a client’s problem by coming up with an idea, then shooting and editing the video, thereby presenting a complete solution to the client’s marketing challenge. Most of the content contests on eYeka fall in this category, like Coca-Cola’s Energizing Refreshment contest, which asked the community to express the « Energizing Refreshment » of Coke in a series of short films: check out the most awesome of them! This model breaks down the production process into sub-segments with mini-contests held in each phase. The American company Tongal is the only player in the crowdsourcing field to use this model: they hold an idea contest, followed by a pitch contest and a video production contest to get finished entries. According to them, this helps increase the diversity of contributors, from average consumers with ideas at the first stage to professional filmmakers at the final stage. 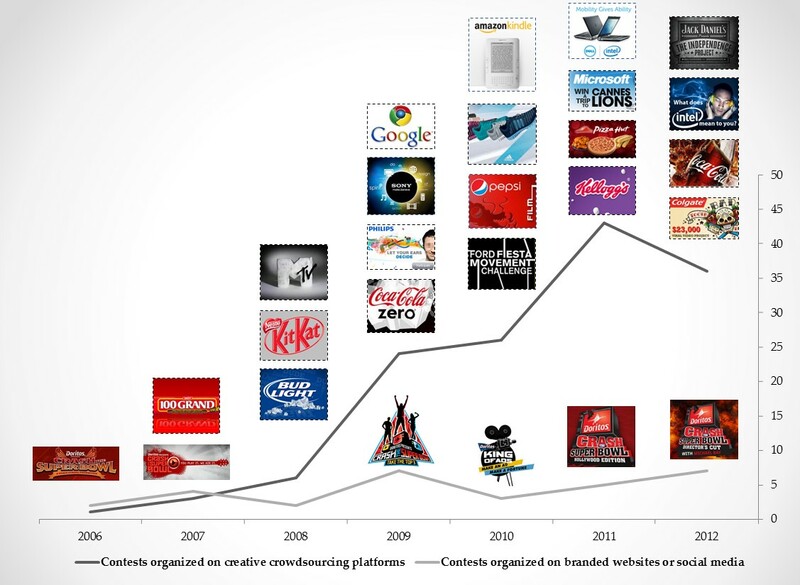 An interesting model that is an evolution of crowdsourcing in video advertising. Our book chapter explains that simple contests were the first to appear and that other models followed in recent years. eYeka, for example, started organizing simple video contests as early as 2006, held its first idea contest in 2010 and its first call-for-pitch in 2012. « While [the simple contest model] is still a widely used crowdsourcing model, some of these companies have also adopted other crowdsourcing models to accommodate the needs of their existing clients, namely big companies that run global brands, » we explain. The future for crowdsourcing in the production of video advertising is bright. Given the difficulty of churning out a steady stream of new and engaging content, crowdsourcing ideas and content is increasingly the preferred tool in advertisers’ tool-kit. eYeka, with a 250,000 strong creative community coming from 154 countries is well-positioned to help marketers and advertisers in their search for original, high-quality consumer content. Go to www.eyeka.com to check our latest contests. The crowdsourcing revolution is underway and we are proud to drive it! This entry was posted in Our expertise, Trends & prospective and tagged advertising, crowdsourcing, video. Bookmark the permalink.